Visa Casinos are some of the most popular in the online casino world. Visa is a well-known brand, extremely safe, and available in most countries the world over. Read on to learn more about this payment method and which online casinos accept it. Visa has been around for a long time. You have most likely been living under a rock if you have never heard of this well-known payment method. Perhaps you have even heard of it if you have been living under a rock, it’s that popular. 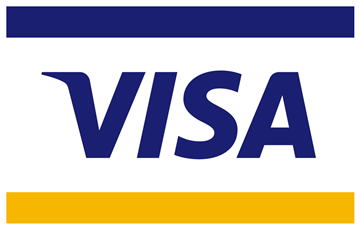 Visa was founded in 1958, with the first debit card being introduced in 1975. Regional businesses were merged in order to form Visa Inc and then it went public in 2008. Visa Europe was then acquired in 2016. Visa is now available practically everywhere in the world – it can actually be found in over 200 countries (so pretty much anywhere), and you can use the card to make payments online on any device as well. There are many advantages to playing at a Visa casino. For one, you know that you are playing at a renowned global financial service casino, which ensures your security when playing. It is accepted at a huge amount of online casinos so you don’t have to keep switching payment methods when you play online if you like to switch it up between online casinos. Additionally, there are numerous visa cards available and you can make payments in multiple currencies (and the payments you make can be quite large too!). There are numerous options available to you if you wish to use Visa to make payments at online casinos. You have the option of using a credit card, debit card, prepaid cards, virtual cards, and the V-card. We will explain all these options to you below. First of all, there are the classic credit and debit cards. In order to get one you will have to first of all have an account at a local bank, and make sure that they have partnered with visa. Once you have a bank account opened then you can register for a debit or credit card with visa, linked to your bank account. When you play using the Visa debit card you are using money that is already existing in your current bank account. So you can only use as much as there is currently sitting in your account. Let’s say you want to deposit 100 dollars and you only have 70 in your account. Apart from being a really bad decision, you won’t be able to complete the transaction as you want to spend more than is currently in your account. If you want more flexibility with how you use your visa card, then you should opt for the credit card. You are able to use money in advance and then make repayments on whatever purchase you made with the credit card. This is useful if you want to make a large payment and don’t have the current cash, but prefer to pay back in smaller installments over a period of time. Prepaid cards are issues by many banks, websites, and other payment companies. They are issues as a one-time use gift card or one that you can re-load and use. These cards are not linked to any bank account at all, and offer users a lot more privacy and flexibility. It’s also a good option if your current bank partners with a card other than Visa. They are usually bought with a set amount of money on them. These are prepaid cards but you don’t receive a physical card, you receive the card details such as the number, expiry date, and so forth online and this is what you use. However, like the prepaid card, it comes with a particular amount of money attached to it. It’s very easy to make a deposit at a Visa Casino. First of all, remember that you can use any of the Visa card options mentioned above. Once you have at least one of those cards then sign in to your online casino account or register for a new one, then click where it says to top up your account. You need to enter the amount you want to play, or a lump sum to use over a period of time. Then you need to choose VISA from the list of payment options which will appear for you. Once that is chosen you will have to enter your Visa card details (name, number, expiry date and security code). Then that’s all you have to do! The amount should appear in your online account quite quickly. First of all you need to check that it is possible to withdraw funds using a Visa card at the visa casino of your choice. Many times you are able to make a deposit but not to withdraw using Visa. 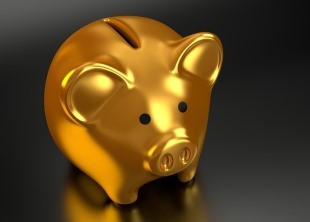 However, if the online casino does accept it to withdraw, then all you need to do is log in to your account, select the amount you wish to withdraw from your account, select visa from the payment options available, and enter your details in the same way as you would do when you make a deposit. When you are making a deposit your waiting time is practically nothing. The money will appear almost instantaneously in your online casino account. If you want to withdraw you will have to wait 3-5 days. This is more so to do with a lag time in online casinos rather than the payment option itself. The balance shown in your account will be the amount after withdrawal however, so you won’t be tricked into thinking you have more than you have. Visa is one of the safest and secure ways to transfer money online. Visa has multi-layer safety measures in order to ensure the privacy and security of your personal information and transfers. They also take immediate action against any suspicion of fraudulent behavior and put all transactions on hold until the suspicious activity is further investigated. There are various ways to contact Visa in case something has gone wrong or you have any questions. First of all there is the FAQ section on their website which may clear some commonly asked questions. You can call them 24/7, and also email their customer support team (based in the US). Remember to always have your card details and identification at hand as this will be the first thing asked of you. How can I find the casinos that are accepting visa? If you want to know the best visa casinos take a look at the toplist featured on this page for all the very best online casinos. I am from the US – can I play at a visa online casino? Yes, you can! It’s a great option from players from the United States. Visa can be used by US players, what you need to check is that the online casino you want to play at has Visa listed as an accepted deposit or withdrawal option. Visa isn’t available – which other payment methods can I use? There are many other payment methods that you can use if Visa is not available. You can play at Amex Casinos, PayPal Casinos, Paysafecard Casinos, and more. Check out all payment methods available. What is the difference between a Visa debit and Visa credit card? When you play with a Visa debit card you are using money that you already have in your bank account. When you play with a credit card you play with credit that you then need to pay back in installments. Play at Casinos Accepting Visa & Start Winning Today! Browse through the online casinos featured in our toplist and play your favorite online casino games at the best Visa casinos.